I pray a lot in my personal life, but rarely at meals. This was a not-open-for-discussion subject when I was a child. We said “grace” at every meal. As I grew up; solo and married, it was a forgotten importance. A friend of mine prays at every meal, just like when I was a kid. 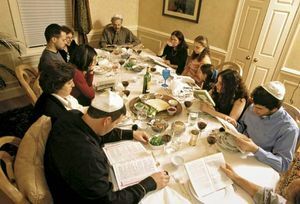 When we (she and I) go out to eat, or gather at one or the others’ homes, we pray. Oftentimes she “makes” me pray. I’ve gotten now – where I either have a prayer ready; or take her hand and start the prayer. It’s amazing how habits can drop and start again. Come Lord Jesus, be our guest, let these gifts to us be blessed. (Traditional prayer before a meal in my childhood home). What prayerful habits need to be restarted in your life? Pray on it! God is always listening!